Even if it takes an extra slice-or two- of pie- I'm ready to look pregnant. Maybe then I can believe it. Today I am 9 weeks and 2 days pregnant. But even as I write that, I feel like I’m an imposter- an infertile just pretending to be pregnant. That can’t be me I’m talking about! I’ve kept my promise to be positive about this pregnancy with Mr. T: I smile and hug him when he asks how baby and I are doing; I humor him when he talks to my tummy. But the sad thing is, I still don’t believe it. 1. I’m still jealous of pregnant ladies. Now that it’s spring, there seems to be an abundance of baby bumps out and about. I still look at them and wonder if they know how lucky they are. I still don’t feel like one of them. And yes, I’m still jealous of them. 2. I want a baby belly- even if it’s made of pie. Confession #1 brings me to confession #2. I don’t feel like one of “them,” but I want to be. I want a baby bump too. I’ve never had to diet to keep to my size 4 and I know I’m lucky for that. But I’m ready to have a huge belly. Then I would believe this dream was real, right? My tummy is looking a bit rounder these days, but it very well could be from the extra helpings of pie combined with all the IVF drugs. In fact, here’s the big confession: I’m having extra helpings of pie because I want to look pregnant as soon as possible. Just go ahead and call me sad, crazy and desperate. 3. When I called the OB clinic to make my first appointment, I felt like they were going to discover at any moment I was an infertile imposter. I might as well have been calling Harvard Law School’s admissions office to tell them out of the blue that I’d like to attend. Acceptance to an OB still seems that impossible to me. The kind receptionist at the clinic definitely thinks I’m crazy. When she answered, I launched into an explanation about how “I never thought I’d ever gradate to this point, but ‘they say I’m pregnant’- I mean I guess I am pregnant-I just went through three rounds of IVF and I have an ultrasound to prove that I am- and I guess I need to make an appointment- but I have no idea how any of this works.” She scheduled an appointment for me. And I’m sure made a star next to my name to warn the others that I would be a neurotic one. 5. I want to feel something. Anything. I’m tempted to eat gag-worthy foods just so I can experience that heralded sign of pregnancy. I try to convince myself I have cravings- but let’s be honest, chocolate doesn’t count. 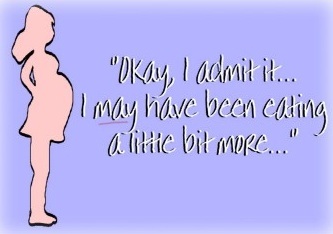 I’m not even that hungry- most days I have to convince myself to eat since nothing really sounds good. Wait- maybe that is a symptom? 6. I have survivor’s guilt. I haven’t fought this infertility battle alone. So many strong, kind, courageous women have been fighting by my side, helping me step by step. Many of them continue to fight, and I wish more than anything that I could take them all to the other side with me. 7. I’m afraid if the Gods notice too I’m happy, they will take it all away. So I try and be quiet. Not too hard since I’m still petrified. If I could have it my way, I wouldn’t tell anyone about this pregnancy until we had our baby in our arms. It just seems like the safest way not to draw the Gods’ attention to our good fortune. So far you all are the only ones to know- I figure my secret is safe here since my identity is by first name only. Surely the Gods would need a last name and address to find me. June 9th is the target date circled in red on my calendar when I dream of sailing off into the happily-ever-after of pregnancy. It happens to be the 11th anniversary of the day Mr. T and I met- which I hope is a good omen for our first visit to the OB. We’ll be 10 weeks 5 days on that date. If all is well, maybe I’ll finally be able to say out loud “I am pregnant”- and believe it. Maybe I’ll stop fearing the Gods noticing my happiness- and finally let myself be full with happiness and pie and a growing baby. Feeling the way you do makes all sorts of sense. Pregnancy after IF is a hard, hard journey and all you can do it take it one day at a time. Just take one day at a time, you can do this. yes. yes. yes. to all that. especially since mine came after the 5 ivf’s not during. for now, i’m quietly enjoying my pie belly mostly by myself and with DH of course (and yes, #5 is a symptom IMHO). I just found this blog… and OMG just needed to respond with my similar stories. 2 years of TTC, I also suffered an early m/c in Aug 2010 (5 wks) and needed a D&E and a second early natural m/c (6 wks) on Dec 26th. I am currently 8w2d pg… my 1st US at 6w3d, HR was also 126 and 2nd US 7w4d HR 163…. I could be writing your blog! Praying for both of our winter babies!! Wow- we are living the same life! I can’t believe how those dates and numbers match so closely- and even the heartbeats! Please keep in touch and let me know how things are going. I’d love to follow you if you have a blog too! You are so sweet- please do keep me posted about your updates. Feel free to email me at jess jetson at gmai if that’s easier for you. It’s so encouraging to know I’m not forging this path of pregnancy after miscarriages alone! Jess first of all Congrats!!! So happy for you and I know exactly how you feel. I was ttc for 5 years with numerous fertility treatments and finally got pregnant 4 months ago! It still feels unreal to me. I know the paranoia feeling. I still don’t think I am one of them. so I am with you on that. It does get better when you are further along i heard. Wishing you a healthy uneventful pregnancy!! Thank you- it’s so good to know I’m not alone, and helps to know it does get easier to be hopeful! Thank you so much for your comment and best wishes to you and your baby on the way!